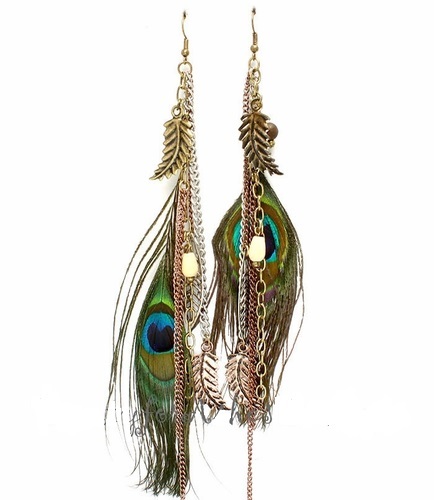 Amazing 6.5" long danglers, these peacock feathers are sure to attract attention! A beautiful cluster of tassel-like segments of chains with leaf shaped charms in an antiqued finish in three tones of copper, antiqued goldtone and silvertone. Feathers are genuine, so earrings differ as each feather is unique in its own way. Earrings are fish hook style.